Why reserve clapping for moments of joy and accolade? Someone did their job, adequately. Applause is surely due. Surely? I don't regard landing a plane as an adequate job. A pilot landing a plane is only really on par with avoiding charges of gross negligence in the workplace. Airport security is a necessity Fact. Only one person can go through a metal detector at one time. Fact. There are more people than metal detectors. Fact. What you are left with it essentially a slowly snaking procession of people queuing to have their understanding of 'metal objects' tested. 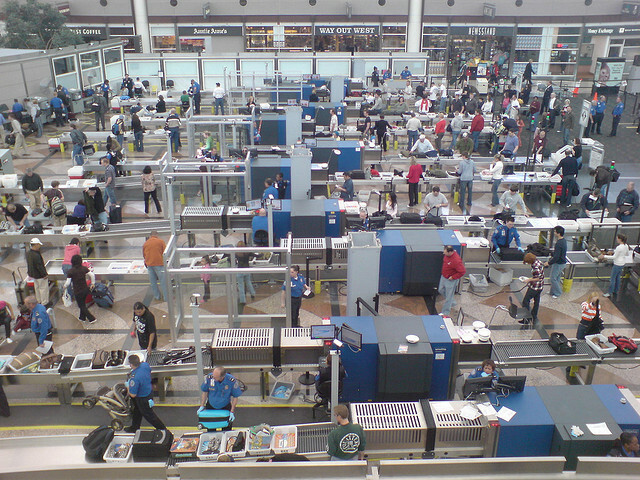 Once you have taken off your bag, belt, probably coat, maybe even your shoes you get to walk through the detector itself. Cue irrational guilt. Then, several hundred plastic containers of your own possessions are thrust before you and you must speed dress. Quicker.. QUICKER. Now go! To Duty Free to buy Toblerone! This is surely the weirdest of customs. Luxury commodities for you to buy, exempt of tax. The pinnacle of our worldly desires, the most precious of artifacts cloth and spices and precious metals? Nah. Toblerone and Jagermeister and Hugo Boss. Suddenly to correspond with this Aladdins cave, currency loses all meaning as we struggle to shed our last few coins, desperate to rid ourselves of our foreign currency lest we return to our home country and be mocked for our insolence. And so, we return with M&M's and snow globes of Toronto, Jagermeister and ill fitting souvenir sweaters. See, I told you it was cliched. Oh, and Berlin was lovely. Back in Bristol now. Plus Jagermeister of course.